While the Dodgers are reportedly “aggressively” pursuing Alexei Ramirez, there’s another shortstop who could be available and might be a better option. That shortstop is Jimmy Rollins. The career Phillie is entering the final year of a contract that is set to pay him $11 million, and it seems the Phillies might finally be ready to rebuild. They’re probably going to trade Cole Hamels and Marlon Byrd. They probably can’t trade Ryan Howard, but at least they’re exploring the option. And if Cliff Lee didn’t destroy his elbow last year, he might already be gone. Rollins, 36 on Nov. 27, is coming off a good-not-great season, and he actually fared better defensively than offensively. He had four defensive runs saved and a 3.6 UZR/150. He was once in the upper-tier of shortstops, but now he’s just decent – which would be a hell of an upgrade over Hanley Ramirez. He did play his fewest number of innings in 2014 (1170 2/3) than he did since 2010 (744 1/3), which is something to consider. But, the Dodgers have enough decent backups at shortstop that they could sustain if Rollins were to miss any time during the season. With Don Mattingly still around, it seems he might be dead-set on batting Dee Gordon leadoff. If the Dodgers were to come away with Rollins, they’d be much better of having him hit leadoff instead of Gordon. Rollins hit .243/.323/.394 with 17 home runs, 102 wRC+ and a 10.5 percent walk rate. That would be a most welcome stat line from the shortstop position. And there’s a chance Rollins could improve on those numbers because he had a below-average .269 BABIP. He also has the ability to swipe 20-plus bases. Something Rollins does is put the ball in play. For his career, his Z-Contract% (contact on pitches inside the strike zone) is 93.1 percent. For a guy who has above-average speed, one would think his batting average on balls in play would be better for his career (.286), but it’s below league-average (.300).That could be due to a 37.8 percent fly ball rate for his career. Playing in a launching pad like Citizens Bank Ballpark, it’s not surprising to see Rollins potentially swinging for the fences. In a different environment, his game could change a little. That’s not to say he’d stop hitting home runs, because he definitely has pop in his bat, even at age 36, but he might actually benefit by playing in a more neutral ballpark. The return for Rollins shouldn’t be as much as whatever it’d cost to land Ramirez. They’re similar players, but Ramirez is four years younger than Rollins. None of the Dodgers’ top prospects would be in play, but the second- and third-tier guys might be able to get a deal done. The best prospect I’d be willing to give up for Rollins is Zach Lee or Alex Guerrero – and hell, I’d throw in Chris Reed for free. But, the Philies could be in the market for a guy like Darnell Sweeney, Scott Schebler or maybe some lower-level prospects. Rollins is a 10/5 guy (10 years in MLB, five with the same team), so he has a complete no-trade clause. He’s from Oakland, and he might enjoy a shot at another ring back in California, but that’s complete speculation on my part. He might require monetary compensation to OK a deal to Los Angeles (either more money or an extension. I’d hope it’d be the former). The Dodgers’ pursuit of Alexei Ramirez shows they don’t want to bring Hanley Ramirez back in the same capacity and don’t trust Erisbel Arruebarrena enough to give him the starting job. And they shouldn’t. Arruebarrena hasn’t done anything to allow the Dodger brass to trust him. The old regime had to deal with his attitude issues (brawl, no desire to play day games) and his subpar bat that might not ever come around. The new regime didn’t sign him, so they’re not nearly as attached to him as Ned Colletti is. The Dodgers hired some of the smartest front office minds in the game to run this franchise. It’s clear they want an upgrade at shortstop, defensively, without sacrificing too much offense. Corey Seager is on his way, but he won’t be in position to be the team’s full-time shortstop until 2016 at the earliest. Until then, a stopgap is needed. Ramirez would be nice, but Rollins might be a better alternative for what the Dodgers truly need right now. 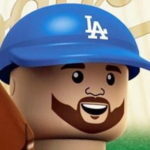 Next Did The Dodgers Make A Mistake In Non-Tendering Russell Martin in 2010?